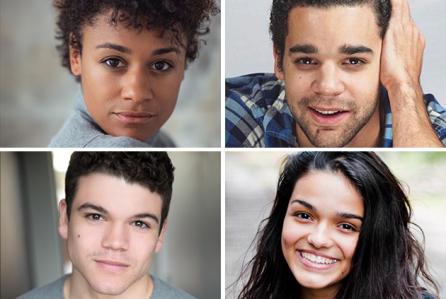 Four bright young talents have been announced tonight to headline the big screen remake of legendary Golden Age musical WEST SIDE STORY, directed by Academy Award winner Steven Spielberg and featuring a script by Pulitzer Prize winner Tony Kushner. Joining previously announced Ansel Elgort as Tony will be 17-year-old newcomer Rachel Zegler as Maria, SUMMER: THE DONNA SUMMER MUSICAL Tony Award nominee Ariana DeBose as Anita, BILLY ELLIOT: THE MUSICAL Tony Award winner David Alvarez as Bernardo and HAMILTON's Josh Andres Rivera as Chino. Additionally, Academy Award-winning original film star Rita Moreno will appear as new character, Valentina, an expanded version of the role of Doc.